We Started Greenway Property Maintenance in 2001. Since then we have been providing a full range of landscaping and masonry services to the local community. Building on the principles of high quality work, integrity, respect, and outstanding customer service, we guarantee our customers quality results at reasonable prices. Jacobsen Landscape Design and Construction is a nationally recognized, full-service landscape firm that is committed to providing landscape services of exceptional value and quality to its clients in Bergen County, New Jersey. With over 35 years of experience in the green industry, our comprehensive residential and commercial services range from landscape design and installation to complete property maintenance packages. We invite you to learn more about our company and how our team can transform your property into an outdoor living space unlike any other. Cardi Landscape & Masonry Design is a full-service custom landscaping design, construction, and maintenance firm. We service Nassau County, Suffolk County, The Hamptons, and surrounding areas. We pride ourselves on being involved from the initial design consultation, through the completion of construction, to continual detailed garden enhancements. We build professional relationships with our clients, establishing trust and confidence that allows for a stress-free experience. As a full-service landscape company, we specialize in managing entire projects from start to finish, coordinating all components of even the most complex projects with minimal disruption to the client. Over the years, we’ve established and built in the company a team of employees who share the same commitment to excellence and client satisfaction that we do. By constantly educating and training our employees it gives us an edge when it comes to understanding design and installation of our jobs. With our fleet of trucks, machines, and equipment our jobs are completed most efficiently and in a timely manner. Each landscape is a shared vision – a collaboration between us, our client, and the environment. We work hard hand in hand with our crews to lead the industry by constantly looking to incorporate fresh and innovative ideas to achieve the most creative result. By choosing Cardi Custom Landscape & Masonry you will be hiring a professional, efficient, and detail-oriented company to looking to make your ideas and dreams come to life! Beautiful Outdoors is a full service landscaping and property maintenance business committed to beauty, sustainability, and responsibility. We will work with you to create, amplify or maintain your residential or commercial property’s natural beauty, and do so using only the finest materials and most trustworthy craftsmanship. Our mission is to provide the highest quality at a competitive price, and to do so in the most convenient time frame possible. Whatever your property goals are, we are here to execute your vision. We are a full service landscape contractor specializing in landscape design and masonry. Family Owned & Operated Lawn Green is a family owned and operated company that has been serving residential and commercial clients in Pleasantville, the Bronx, Yonkers, and all of Westchester County and New York City for over 25 years. See the areas we serve here. In addition to our full service landscaping services, we specialize in irrigation installation and sprinkler systems as well as mailbox and fence installations. Our Team Makes Your Dreams Come to Life Owner Mark DiFabio and several dedicated employees, including a master gardener, specialists, and apprentices, make up the team at Lawn Green. Our skilled and experienced staff takes pride in incorporating their knowledge and hard work into each and every project. We stress a hands on managerial style and take pride in getting involved with all phases of our services. We also work with several smaller businesses and employ interns on a steady basis. Oakwood Landscaping & Construction, LLC is a full-service company that offers comprehensive project planning and management. 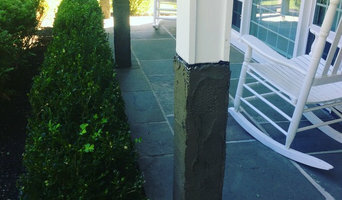 Connecticut homeowners entrust their business to us because of our promise of excellence. The considerable experience, dedication, and skills of our builders enable us to generate our clients' every need and desire for the appeal of their home. Although every experience is unique in itself, we excel in all phases of the building and remodeling process, which includes communication with prospective customers, listening to and understanding our customer's vision, creating a plan, and preparing your home for remodel. What distinguishes our company from others is continuous communication with clients, designers, and sub-contractors. Budget and customer approval are constantly reflected and reviewed with the homeowner throughout the remodeling process. Customer satisfaction is our goal and we strive to meet our customers’ expectations. An abundant amount of our business has generated from "word of mouth,” which is something we take pride in. The continual interaction with our previous customers is imperative to our company. Our genuine passion for the trade and intensive attention to detail sets us above industry standards. Your home is a vital component of your life and Oakwood would enjoy fulfilling your vision and desires that you have for your home. 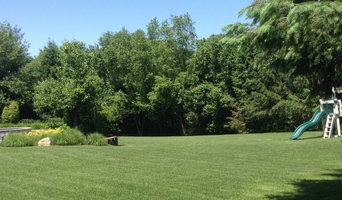 A full service Landscaping & Construction Company with over 25 years in the industry. Westchester Home & Garden has designed some of the most prestigious landscapes in Darien, New Canaan, and Greenwich Connecticut, as well as Westchester, Putnam, and Dutchess county. We also pride ourselves on Designing and installing hardscapes. We specialize in masonry, carpentry, excavation and irrigation. In addition to our Landscapes and Hardscapes, we specialize in Exterior Commercial Maintenance. 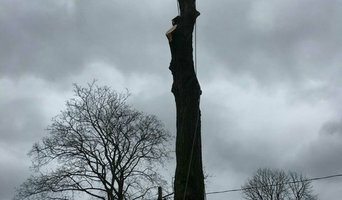 When working against the unpredictability of Mother Nature, you need an experienced partner with the resources and dedication required to deliver solutions for the unexpected. We understand that the exterior appearance of a community speaks volumes about the tenants inside. A well maintained exterior creates perceived value. Go Green Property & Grounds Maintenance LLC. 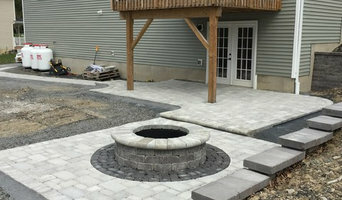 We are a Lanscape Build, Landscape Maintenance company that has been Serving the beautiful Hudson Valley for 10 years. We are proud to have built a great reputation that has lead to many service awards. We have amazing clients and enjoy what we do.